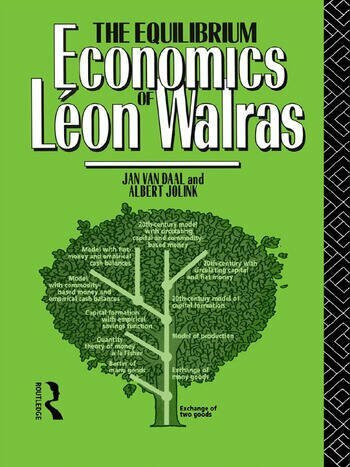 The existing literature on Walras has focused on his Elements of Pure Economics to an extent which has unbalanced our view of his work. Jan van Daal and Albert Jolink pay very careful attention to Walras' general equilibrium models, tracing their development through the five editions of his Elements. But they also place his equilibrium exercises in a broader context, arguing that these models should be considered as an instrument in Walras' design for optimal economic order.